Kids, teens, adults... everyone likes gum! That's why Twister Flavor is so great for close-up and parlor magicians no matter if their audience is young or old. 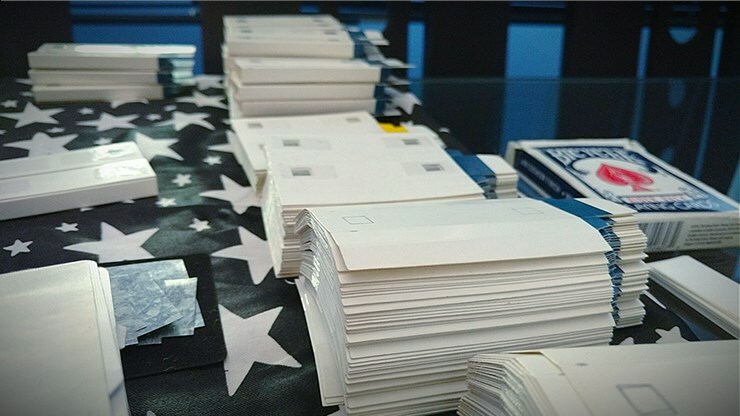 Check out the video and you'll see why this hyper-visual trick will appeal to all ages. Be honest, when was the last time you saw a transformation with an everyday object that looked this good? Your spectators will be rubbing their eyes in disbelief! 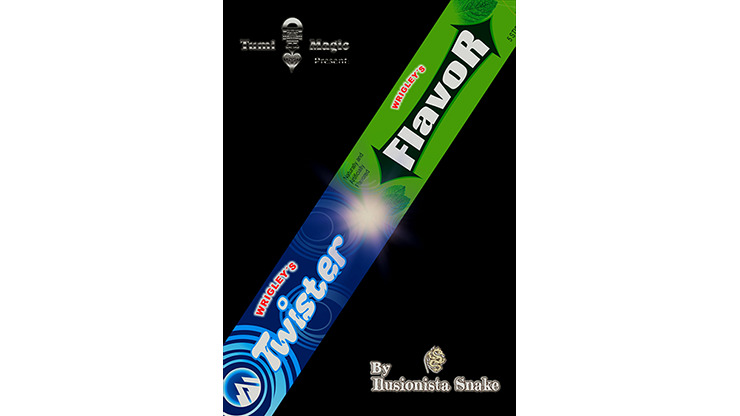 Twister Flavor is a size, color and product transformation that literally happens in the blink of an eye. 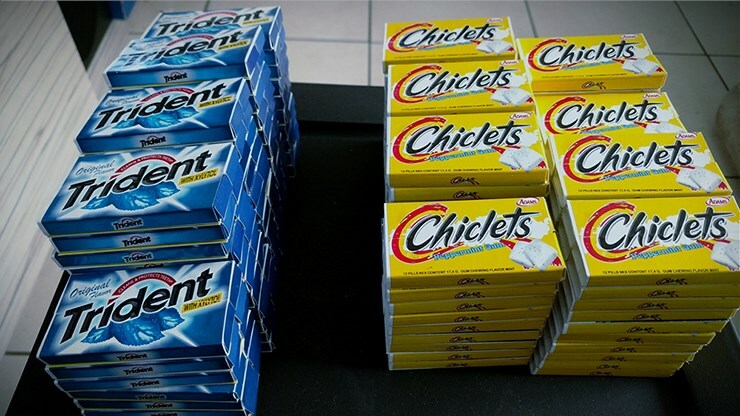 You'll make two packs of gum instantly change into a larger pack. The best part? You can magically change them back without resetting the gimmick. There's no complicated sleight-of-hand necessary. The ingenious gimmick does nearly all the work for you so it's easy to perform whether you're a hobbyist or full-time pro. 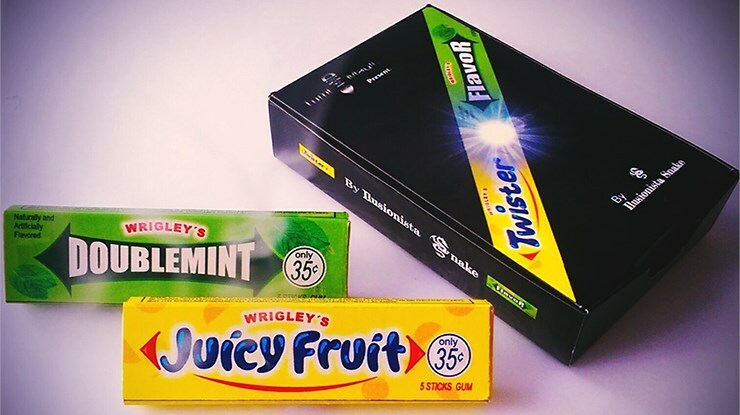 Box to store and protect the packs of gum. This is great for formal close-up, a quick strolling trick, social media and website videos. Show your friends, family, co-workers and spectators what a camera trick would look like in everyday life! Make a big impact when you add a little flavor to your repertoire. Order Twister Flavor today! The illusion is, obviously, breathtaking. But I don't feel it's a good value for the money. 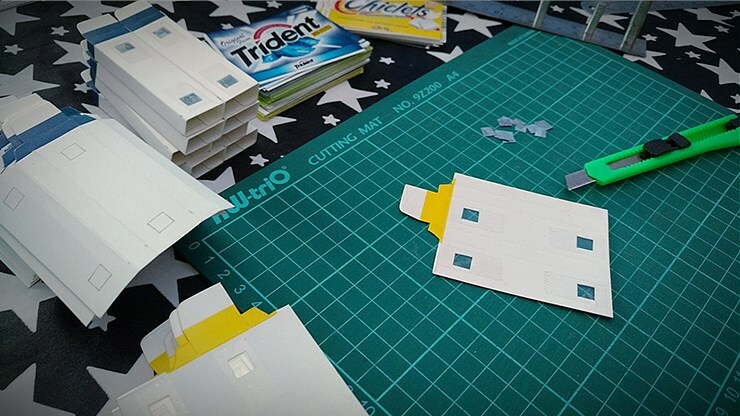 The method is exactly what I expected it to be, but I expected the gimmick to be made of plastic, (durable); but, instead, it is made from card stock paper. This isn't exposure, just fact about the materials used to construct it. It is more poorly constructed than what I thought it would be, (and expected for the cost); so I expect it won't be lasting long enough to make it worth the cost. Looks decent on camera and from a distance. You won't, (or shouldn't), be doing this close-up for anyone. You will not be able to carry this in your pocket unprotected. The instructions were not very good, (as simple as the operation of the gimmick is), and are not in English; so you have to choose between reading subtitles or watching the explanation - which means you'll be watching it twice. My advice: Skip this one.